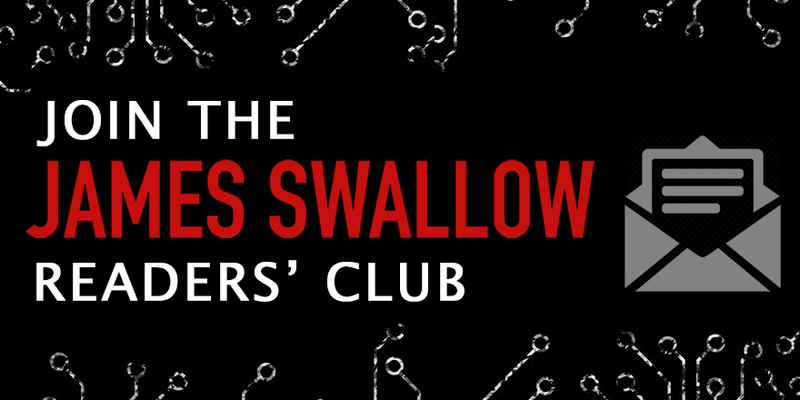 I'm happy to announce that from today, I have a new home on the World Wide Web; you can visit me at jswallow.com. I've worked on the new site to create something simple, quick to navigate and most importantly, filled with stuff. 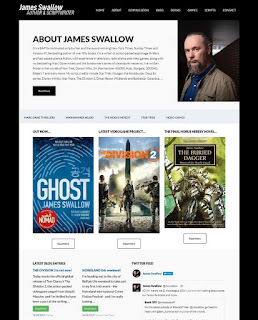 You'll find information on all of my professional writing career to date - every book, every short story, every script and video game - complete with images, audio clips, trailers and videos. You can keep up to date with my 'coming soon' section and my (somewhat irregular) blog! There's a fully indexed 'library' of my work categorized by themes, series and subject, covering all my original fiction and tie-ins. I'll be writing Author's Notes as I go, so readers can learn more about the stories behind my projects over the last twenty years! There's also a 'free fiction' category, which I'll be adding to regularly over the next month or so, in the run-up to the launch of my next Marc Dane thriller novel Shadow. On Friday April 26th, and on each following Friday over five weeks, I'll be putting up a chapter of a brand new Marc Dane novelette called "Rough Air", free to download in ebook form for all visitors to the site. More on that next week! My new site will be taking over the duties of the Red Flag blog in the coming months, but there will be a bit of overlap before I shut that down, so if you want to continue to follow me and my writing, please update your browsers and bookmarks accordingly! Things are about to go viral in Dane's most dangerous adventure yet . . .
Ex-MI6 field technician Marc Dane and his partner - former US Delta Force sniper Lucy Keyes - are pitted against their most terrifying challenge yet, when a genius bio-researcher with the ability to create a deadly biological weapon is kidnapped by a ruthless terrorist. Their desperate search for the missing scientist takes them across the world, from the desolate wilderness of Iceland to the dark underbelly of a fracturing Europe, where they will discover a shocking atrocity in the making. Backed by shadowy interests, a cadre of hard-line ultra-right-wing extremists plan to unleash a lethal virus among the population of a major European city. 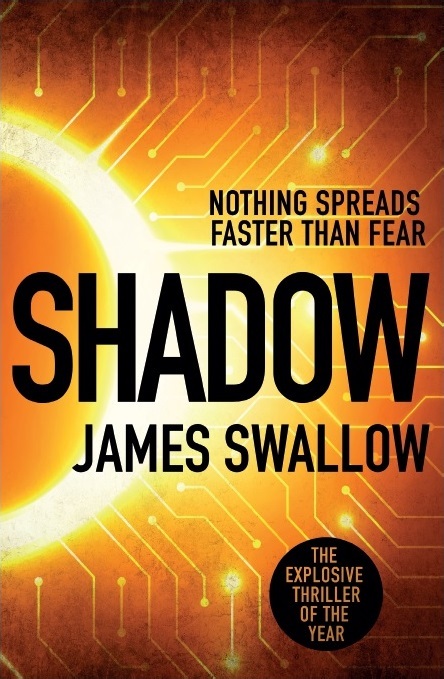 Shadow is out in hardcover, export trade paperback and eBook editions at the end of May, and you can pre-order it at Amazon (click Here) or wherever you buy your fiction. But a new cover design isn’t all I have to announce; I'm currently putting the finishing touches on a brand new serial short story, which will be available in free downloadable chapters in the run-up to the release of Shadow. THE DIVISION 2 is out now! If Washington D.C. falls, Humanity falls. Enemy factions at your doorstep. 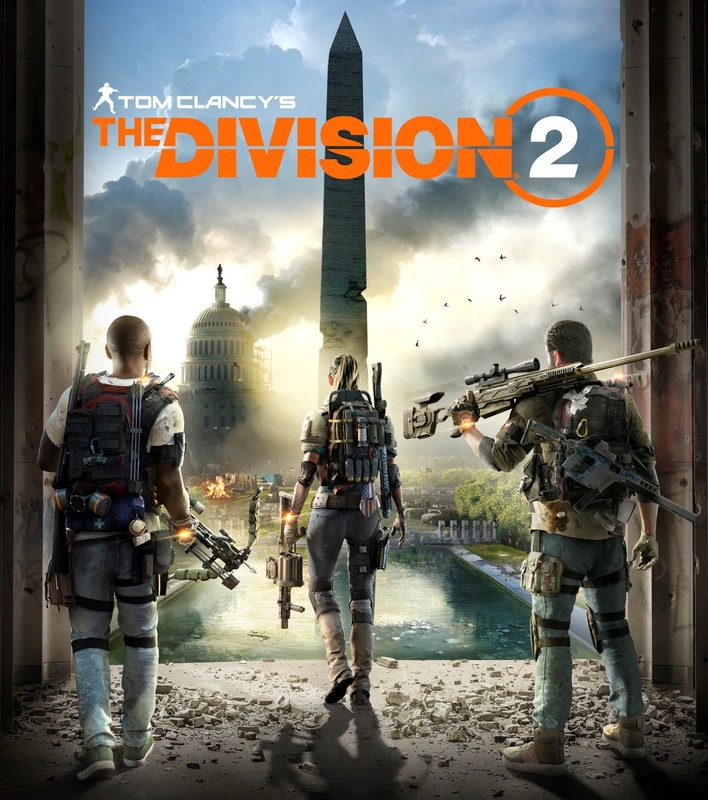 The Division 2 features a strong narrative element distributed throughout the core storyline. As well as being a long-time reader of the Tom Clancy novels, I’ve also been a dedicated player of the videogames created under the author’s name. Last year I worked on the Ghost Recon Wildlands open-world shooter game, and having expended a lot of hours on the first iteration of The Division, I was excited to be involved with the sequel. I'm heading out to the city of Belfast this weekend to take part in my first Irish event - the Noireland International Crime Fiction Festival - and I'm really looking forward to it! The event runs from Friday 8th to Sunday 10th March at the Europa Hotel in Belfast, and I'll be joining top writers like Ann Cleeves, Anthony Horowitz, Adam Hamdy, Belinda Bauer, Denise Mina, Stuart MacBride and more to talk about crime and thrillers. I'm taking part in the "Twenty-First Century Bonds" panel on Sunday morning from 9:30am, along with Asia Mackay (author of Killing It) and Douglas Lindsey (Song of the Dead) - James Bond has endured as one of the great icons of the thriller genre but how has he influenced modern thrillers and what are the challenges of writing about Secret Service agents for 21st century audiences? Full details on the Noireland website Here. It's that time of the year again, when I doff my cap to those hard-working people in the library service, and remind all you writers out there that libraries are fantastic, and that we should all support them. Libraries also help out jobbing authors in more ways than just getting their books in front of readers, thanks to something we have here in the UK and Ireland called the Public Lending Right; it’s the gift that keeps on giving to writers, editors, illustrators and other folks involved in making books happen. If you are a writer/editor/illustrator/etc, a resident of the UK or Ireland and you ever need a reason for donating your books to the library - on top of all the obvious ones like promoting reading and supporting this valuable and increasingly undermined public service - this is it. The PLR is a system where authors who've written books that are in public libraries get a little revenue each time somebody borrows their works. It's a way to repay writers who won't be earning a royalty from a sale in a bookstore. The PLR office pay a nominal fee based on how borrowed you were - and in the interests of fairness, you can't earn more than around £6000, so the big names don't get to hog all the money. The PLR and our libraries are constantly under threat from government cutbacks, so if you are a writer or a reader, please do your bit to help support both as best you can. Once again, my Marc Dane thrillers topped the chart in 2017, with Nomad and Exile pulling in a whopping 26,684 loans between them! My Horus Heresy novels remain a fixture, with Weapon of Fate coming in at 3rd place and Fear to Tread slipping from 3rd to 7th. Jack Bauer shows his tenacity with my 24 novel Deadline clinging on to the top ten for the 4th year in a row, and my Star Trek: The Fall novel The Poisoned Chalice rounds out the chart. It was also interesting to see my Warhammer 40,000 Sisters of Battle collection appear this time around, along with the novelization of Ghost in the Shell I worked on with Abbie Bernstein.